Despite growing up in different worlds, there was something about the way that Mathias watched his own car moving that transcends pretty much every cultural barrier. It was a look of passion and pride. You just know that any man or woman who has that look in their eye is a bona fide car enthusiast. I’m still taken aback by the absolute size of these cars. 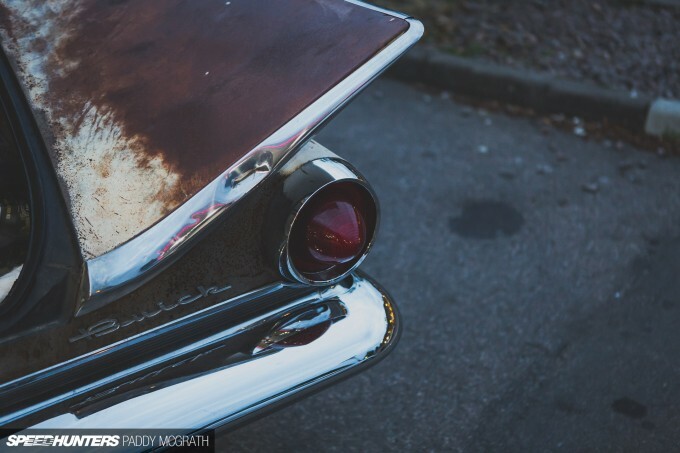 The ’59 Electra came at a time when car design in the United States was enjoying its golden age. They might have been built upon the premise of rapid obsolescence, but it’s incredible how well they’ve stood the test of time. Indeed, it’s even more impressive how distinct they remain. 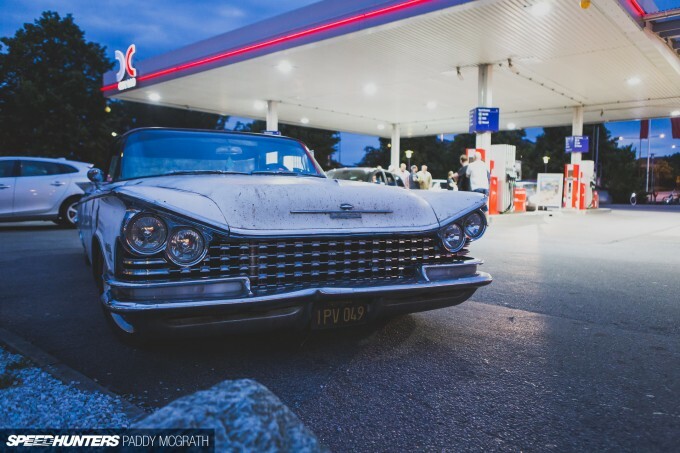 There is a huge classic American car scene in Sweden and it’s something I’ve wanted to explore for years – purely because of how much easier it is for me to access at this side of the Atlantic. I always get the feeling that when it comes to American classics, non-Americans always seem to try harder, as if to prove their worth. It’s a strange cultural phenomenon but one that I’m completely on board with. 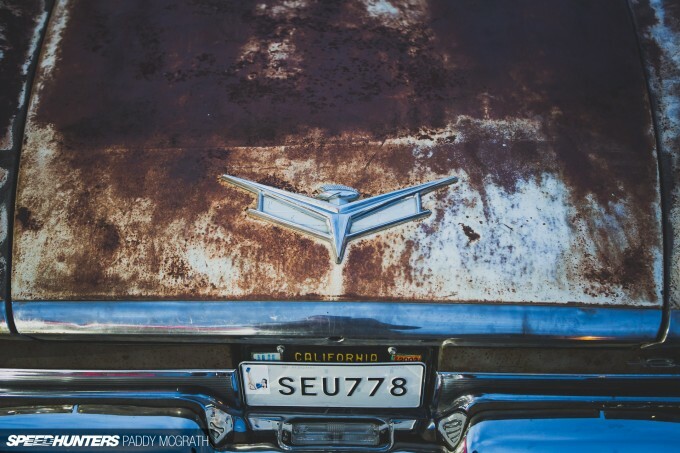 Whilst I might not be an expert on classic American cars, the first thing I noticed about this Buick – before I even realised it was a Buick – were the modern Chevrolet wheels. I was sure this was pointing towards something (we were in Sweden after all), but wasn’t fully prepared for what I found. As I soon learned, this isn’t just a case of man-imports-car-from-other-country. Three years ago, Mathias flew to California where he spent four months sourcing and building his dream car. Rather than let someone else do all of the work, he wanted to save that privilege for himself. 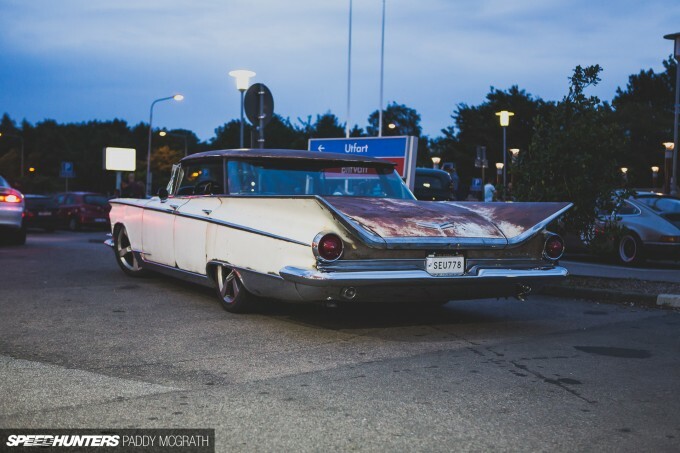 Despite being a ’59 body, underneath its skin this car is far more contemporary. From what I could gather, it’s practically a 2011 Camaro complete with a 6.2-litre LS3. And I’m sure the guts of over 400hp is ample in a car that’s over 50 years old. Mathias was eager to show me a video from earlier that day at the Bjuvs Burnout meet, where this Electra raised a few eyebrows as it tore up tyres in the burnout box. 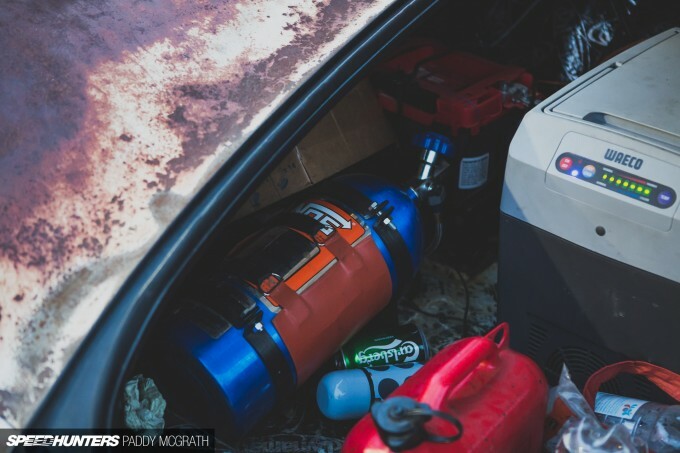 The trunk also revealed a nitrous setup, a large polished air tank along with a 12V fridge. 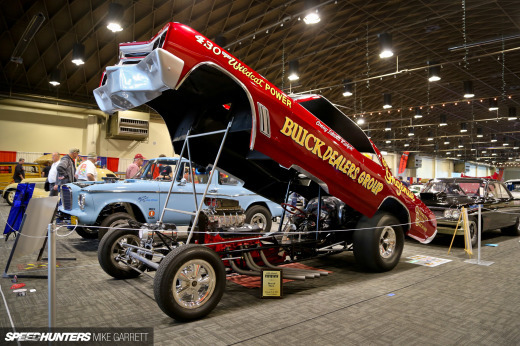 As for suspension, the Buick features Air Lift Performance air ride with V2 management. The interior has been kept authentic, save for what I’m going to assume is a Camaro steering wheel. Whilst the finish of the exterior will typically divide people, in this case I think it really works. 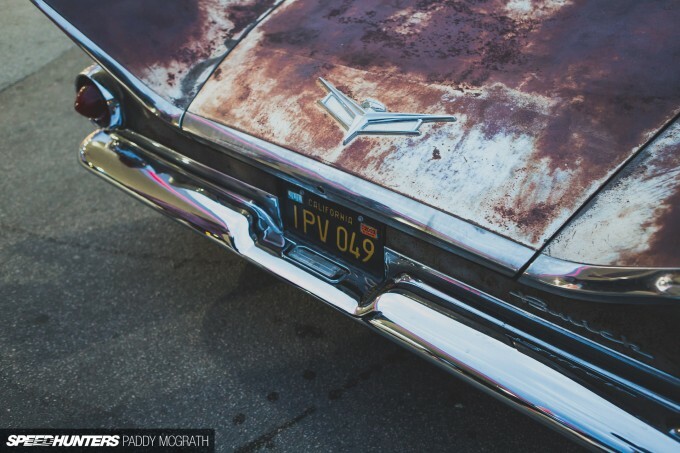 The authentic patina contains a huge part of the Electra’s story before it was rescued and brought to Sweden, and I can just imagine the car baking in the Californian sun, neglected, until Mathias showed up and gave it a second shot at life. I can’t help but think, how many more cars are out there waiting to be rescued? 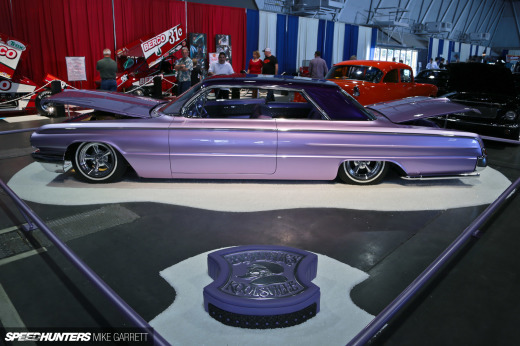 Love the flat top Electra's. 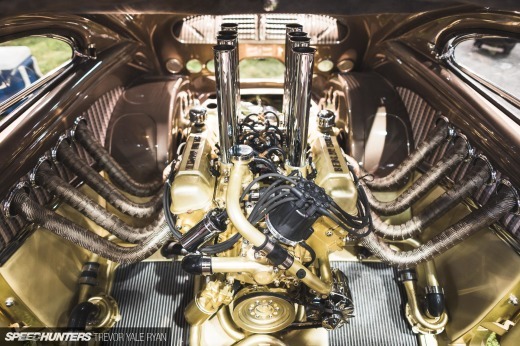 Don't love the Chevy powerplant inside. To each his own. Neat car. this is not the most pretty muscle for my taste but the setup is awesome. 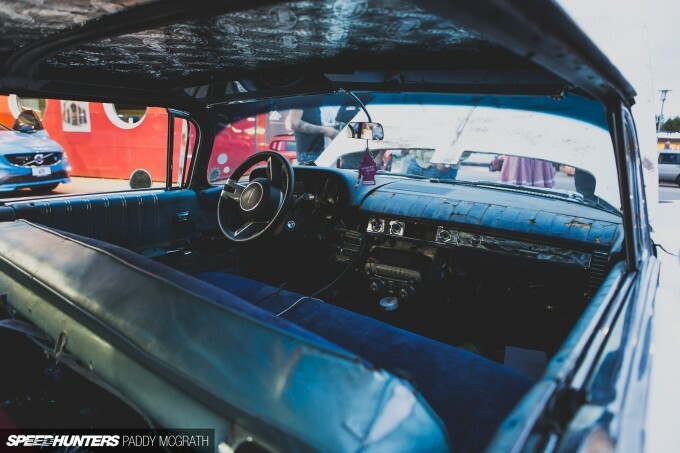 i love the idea of modernising an old car. i think i would improve the interior though. this one´s looks dirty. loved the wheels! Considering its new home, it just doesn't seem right to describe the new engine using the metric system. I see the utfart but where is the infart? This concept is pretty neat. Any word on next steps? Personally, I'd backdate the car with some larger steel wheels with dog dishes, get rid of the Camaro steering wheel for something more traditional (along with the Camaro radio), and fabricate some aluminum panels to hide the air ride and brake components under the hood, leaving only the LS3 engine cover. I like everything else though, especially that fridge! @MaxwellSmart Newer Chevrolet CAN architecture requires that the radio be plugged in. The radio is a part of the CAN network, without it the car will not start. I'm sorry but this thing is hardly interesting. takahashitothetop If you don't think the story behind this car is interesting or can't appreciate the sacrifices involved in rescuing a car from the opposite side of the world, then I think you're on the wrong site. Ice Age Sweden uses the metric system. danielbelvino Retromods make for great builds. Would love to undertake one at some stage. ScottBrady If I'm not mistaken, it's a GM engine in a GM car? So it's not too bad? Or am I completely underestimating how diehard Buick fans are? Paddy McGrath Ice Age I meant "home" in the sense of the vehicle this engine's installed in. So , it's actually '11 Camaro with '59 Buick cover ? Or they only swap stuff like engine , wheels , some interior parts ? 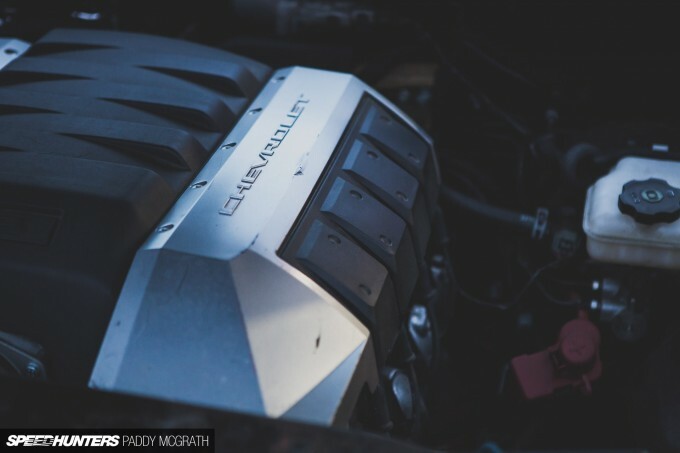 Ice Age Paddy McGrath Even Chevrolet use metric on their official website when talking about cubic capacity It's great because for the life of me, imperial measurements confuse the bejesus out of me. You just made my morning Paddy. Thanks mate! 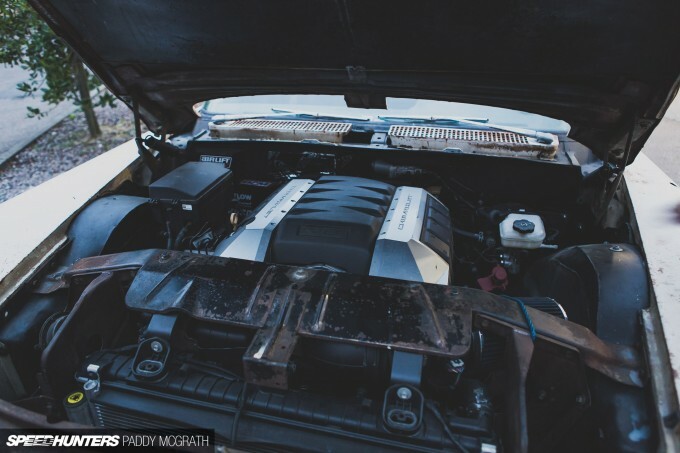 Speedhunters this is terrible…sorry but how the hell does this earn a feature? the motor swap? 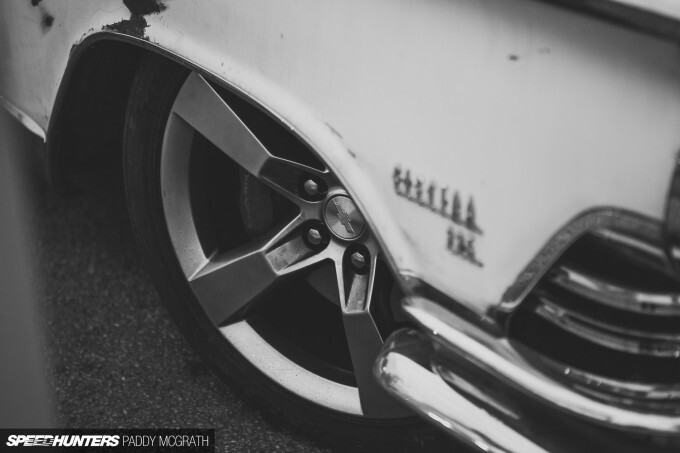 This is a great example of why I come to Speedhunters. The team here is not afraid to feature a car that has a unique POV and an excellent story behind it. 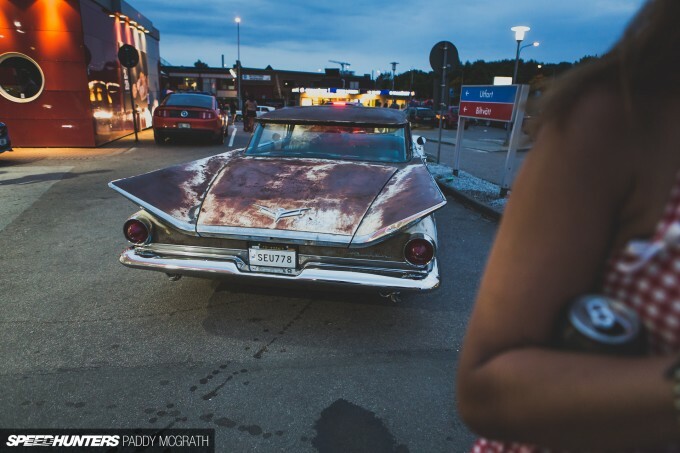 Keep that patina, Mathias. Keep finding gems like this one, Paddy/SH. Didn't expect a Speedhunters would be this short (still ok I guess). This particular build kinda reminds me about the Coroner! adamsrotors Speedhunters Read the story perhaps? Paddy McGrath rally2727 Guess my lack of knowledge troubling me with "spotlight" and "full feature." Paddy McGrath takahashitothetop Carry on Paddy, I love your posts I'm merely spoiled with the high build quality and the attention to detail that has become par for the course. The swap is admirable but I'm failing to see the individuality all I see is a blank canvass. 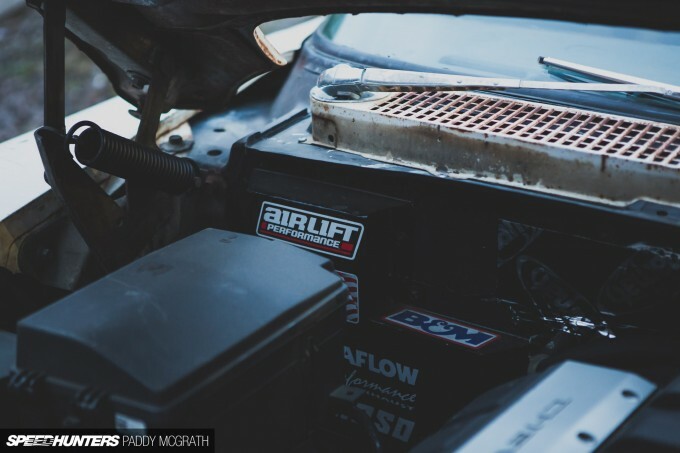 The Speedhunters articles from Scandinavia are always the most interesting. You never know what the hell is going to be inside just by looking at the cover photo, but it is 100% guaranteed to be worth the click. The cars that come out of there are always fascinating. Almost as if they don't have fads or trends and every car is born of a slightly more novel idea. The photo with the rust, nos, carlsberg and fridge is priceless. adamsrotors Because it's strange and interesting! qaped As would I, but think I might struggle with its size! Greenreese I think they quite simply don't care what people think and commit to building cars for themselves, rather than to go with the latest trends. 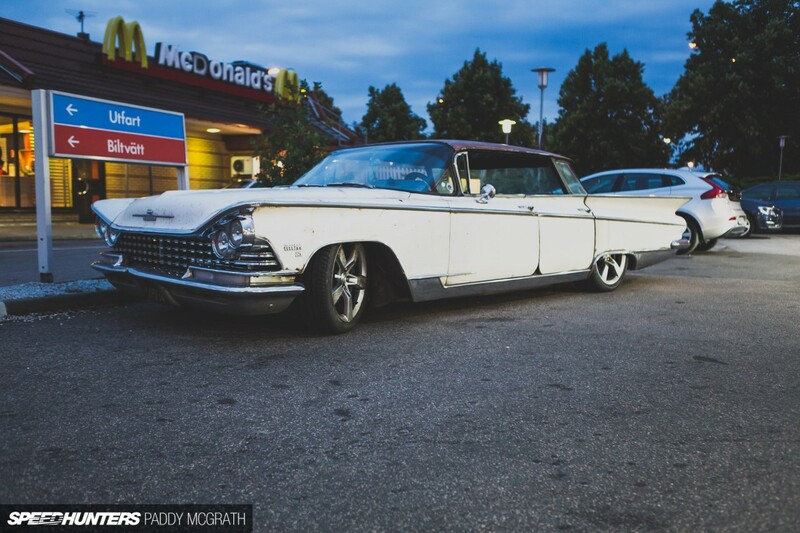 Paddy McGrath ScottBrady I wouldn't say that America has a diehard Buick fanbase. They've always kind of been a red-headed step child of the GM line up. 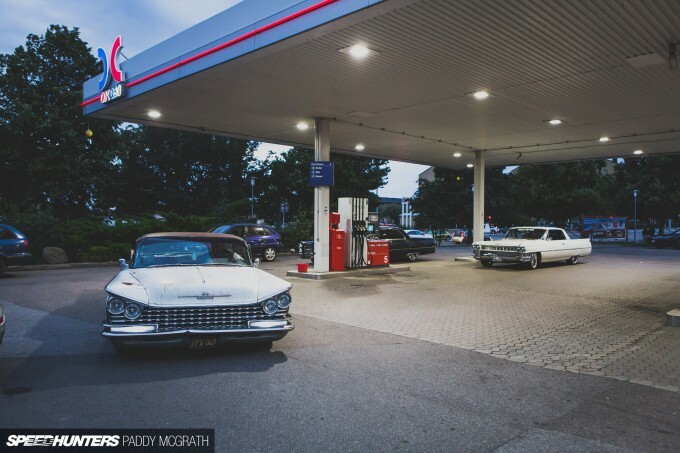 Buick has had their moments (30's, 50/60's, Grand National) but they don't really have a huge cult following. I actually like this build a lot (even as a Ford guy) and don't think too many GM guys would have a lot of heart burn over it. P.S. 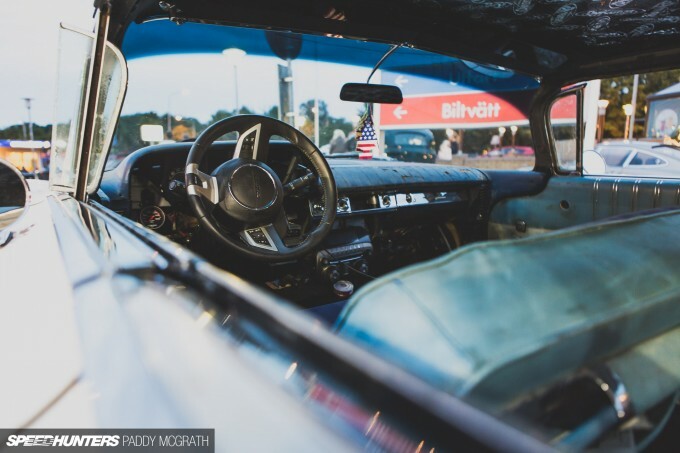 You are correct Paddy, that is indeed a Camaro steering wheel. I'm American and cubic inches mean nothing to me yet when in metric I can easily picture the capacity in my head and 6.2 litres is massive. what happened to the slide show? Wow! 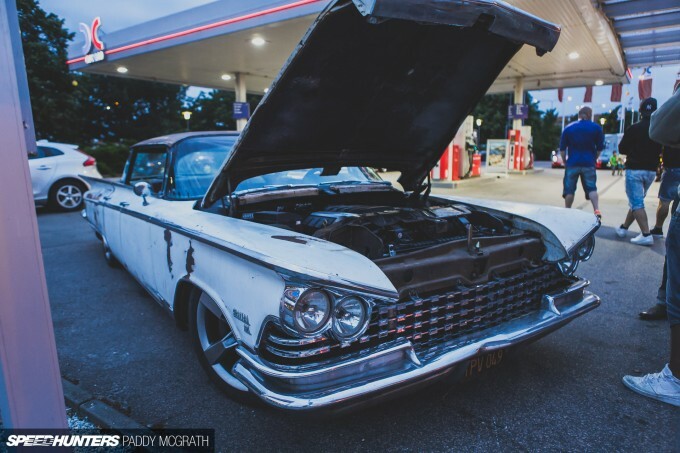 I have seen this buick at alot of local meets and cruise-nights and I could never have guessed that it has an ls3-swap and nitrous! It's cool to see a car from my general area. Thanks man! Great article!